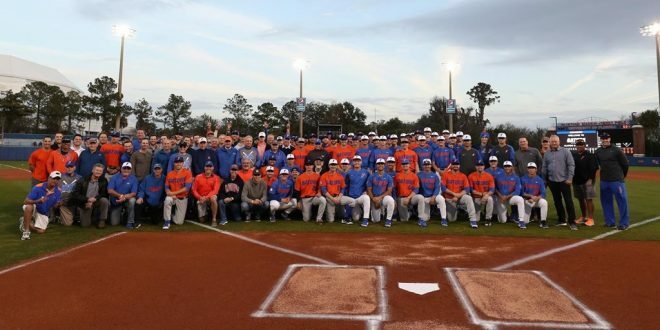 Over 100 Gator baseball alumni returned to McKethan Stadium Saturday night to watch the annual alumni scrimmage game. Current and former Gator baseball players competed in a scrimmage as the Gators prepare for their home opener next weekend. The current Gator squad dominated throughout the scrimmage, ending the night with a 13-3 victory over the alumni. Junior Tyler Dyson opened on the mound for the current Gator squad. Dyson pitched to his current teammates while alumni pitched to fellow alumni. Meanwhile, former Gator pitcher Johnny Magliozzi had an impressive night on the mound for the alumni. After a scoreless first inning, junior Wil Dalton hit a solo home run to give the Gators a 1-0 lead. In the third inning, senior Blake Reese and junior Austin Langworthy each hit solo home runs. Dalton extended the Gators lead to 5-0 with an RBI double. Now #RakeReese and #AustinPowers launch solo homers! Additionally, freshman Cory Acton finished the night with two doubles. While sophomore Brady McConnell recorded three singles. The alumni got things going in the fifth inning. Paco Rodriguez singled Matt LaPorta home to put the alumni on the board. Furthermore, LaPorta played first base at Florida from 2004 to 2007. 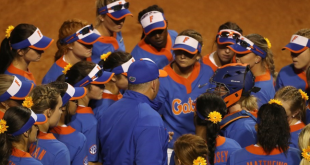 As a Gator, LaPorta was named the SEC Player of the Year in 2005 and led the Gators to the College World Series. Similarly, Rodriguez was the Gator’s relief pitcher from 2010 to 2012. 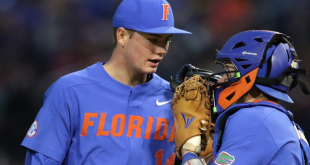 In all three years of Rodriguez’s college career, Florida played in the College World Series. The alumni are on the board! Matt LaPorta doubles to lead off then Paco Rodriguez singles him home. Overall, the current Gator squad proved to out bat the alumni in their 13-3 victory. Former Gator and Milwaukee Brewer pitcher Tommy Toledo returned to Gainesville to play in his second alumni scrimmage. 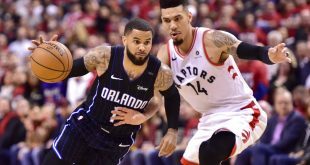 In addition, Reese commented on the relationships that former and current players make through events such as the alumni scrimmage. 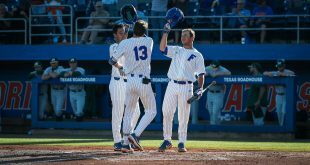 Furthermore, the Gators open up the 2019 season on Friday, February 15 at 6:30 as they take on Long Beach State.